Living... as a divorcée with her slacker brother Matthew and her son Ritchie. Her husband Richard is now dating a younger woman… also named Christine. It certainly wasn’t the perfect marriage, but this new arrangement is a perfect storm to make Old Christine extremely jealous and insecure. And now being called “Old Christine” doesn’t help any. Profession... owner and operator of a gym for women. She works with her best friend Barb, who is also divorced and is extremely dry and sarcastic. But her unofficial occupation is devoting herself to keeping up with the strange, cliquey mothers at her son’s new private school. That’s much more terrifying than running a business. Interests… watching American Idol. Also, acting like she knows things about politics and world events without, you know, actually following politics and world events. Relationship Status... divorced and trying to keep up with her ex-husband. 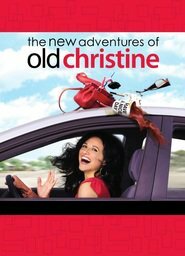 He’s sleeping with a younger woman – “New Christine” – so Old Christine starts dating up a storm. But that just creates more problems, such as, when does she introduce new men to her son Ritchie? And how does she stop Richard from sabotaging her new relationships? Challenge... adjusting to her ex-husband’s new relationship. The two have had a very amicable divorce, but this throws her for a loop. Suddenly she’s surrounded by women she feels she can’t compete with – the moms at her kid’s school are in better shape, and New Christine is younger. How does (Old) Christine stay sane in a world that is suddenly very crazy? Christine Campbell's popularity ranking on CharacTour is #3017 out of 5,000+ characters. See our top-ranked characters and read their profiles. The New Adventures of Old Christine is an American sitcom television series, starring Julia Louis-Dreyfus. It originally ran on CBS from March 13, 2006 to May 12, 2010, completing five seasons. The series received nine Primetime Emmy Award nominations, winning one for Louis-Dreyfus' performance in the first season.